6 Where to Buy Water Kefir Grains? 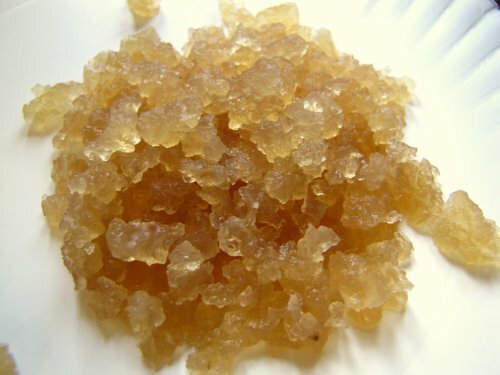 Water kefir also called tibicos has a yellowish, crystal color with bubbly appearance and can be made from sugar water, coconut water or fruit juice. Since it is dairy-free, it is perfect for those who want to avoid dairy. Economically, it is also cheaper than milk kefir (since it uses water and sugar to prepare it). Kefir drinkers comment that they were able to take greater amounts of water kefir since it is lighter than milk kefir. 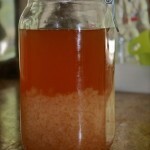 Water kefir tends to have sweeter taste although this depends on the length of fermentation. The longer you let it ferment, the less sweet it tastes. Water kefir can be used in many ways. It can be used as a base for many kitchen recipes like fruit gelatine, salad dressings, cakes, smoothies, popsicles and dips. Although most prefer it to be plain, water kefir can also be flavoured by adding dried or fresh fruit; flavourings; herbs and sweeteners. Water kefir is a good substitution for sodas and juices. In a pot, add sugar to a cup of water and heat the mixture. Do not boil but make sure the sugar completely dissolves. Let the sugar water cool then add another 3 cups of water. Transfer in a clean glass jar then add another 1-2 cups of water. Put in kefir grains into the sugar water mixture and cover with a lid or breathable cloth. Let it stand for 24 hours or until the taste and consistency suits your liking. 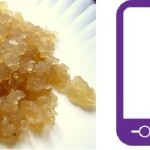 Since the grains feed on the sugar, the longer the fermentation, the less sugary your drink will be. Strain the kefir water using a non metallic strainer. You may use the grains for another batch of fermentation. Add lemon or vanilla extracts to taste. The amount to drink water kefir is really depend of each person’s body type. The easiest to way to determine is to make water kefir as a beverage drink. We all know drinking too much of something is always not good for our health so it is recommend to take a maximum of 1-2 cups per day. Some of us surely will wonder why having these side effects, the reason is easy – the good bacteria is fighting the bad bacteria that’s why our body is in the process of transformation and adaptation. Flavoring water kefir is one of the most desired to every kefir drinker, here are some of the methods on how to flavor water kefir. In a jar, add the kefir grains to the coconut water, then cover jar loosely with cloth, secured with a rubber band. Leave it at room temperature for 24-48 hours. Culturing is complete when the mixture turns cloudy from clear white and tastes sour. You may strain to remove the grains for future use. Pour 3 cups of water kefir to the container jar. Add the extracted lemon juice to the container jar. Add the peeled and chpped ginger to the container jar. Seal the jar and let it ferment for 1 to 3 days, depending on how much level of carbonation you want. After the fermentation put the jar inside the refrigerator. After fermentation put the jar inside the refrigerator. Combine vanilla extract and water kefir. Serve cold. Combine water kefir and raspberries in a clean glass jar. Lock the cap of the bottle down and invert it once to get the berries and their juice mixed in to the kefir. Ferment at room temperature for at least 6 hours, or up to 12 hours, for more carbonation. Open the bottle over the sink and enjoy. Place the turmeric root in 4 cups of of water and heat to boiling. Boil at least 20 minutes, until the water becomes a rich golden yellow. Crack and open the pods, and remove only the fruit. Simmer the tamarind fruit, stirring gently, so that it dissolves into a jam-like texture. When the seeds have come out of the fruit, let the mixture cool, then pour it through a strainer to remove the seeds and seed peels and create the paste. When the turmeric water is ready, add enough cool water to bring the temperature to just warm, and blend thoroughly to liquefy the cooked turmeric. Blend in the tamarind paste to the turmeric water. Add lemon juice and honey, and blend. Add enough cool water to bring the quantity up to 2 quarts of liquid. Distribute the blended tonic into small jars with tight lids, leaving ½-1 inch of head space. Ferment at room temperature for 24-48 hours, then refrigerate for storage. Before drinking, swirl the mixture to distribute the solids. 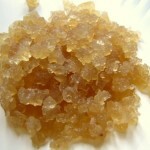 I have a great deal for people who wish to buy water kefir, but have a tight budget. There is a way to own a life time supply of water kefir. 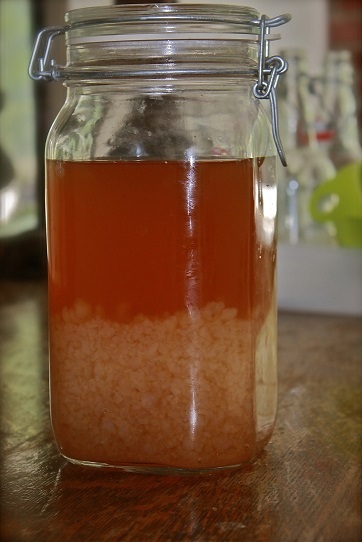 You just need to buy your own water kefir grains then ferment it! See package below that fits your choice. Doesn’t answer the question “WHAT IS water kefir” at all, only says what color is it had what is it for. Can you explain what is Tibicos, please? Tibicos is the other name of water kefir. I think it site clearly that water kefir is a fermented drink that is made from water and etc.